Manoa Dental Care: Happy Halloween! A cosmetic dentist can have a little fun also. 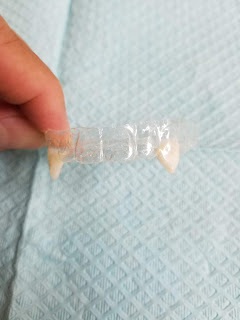 This is a set of vampire fangs a patient requested to have made. All she has to do is slip the tray over her natural teeth and it looks like her canines have grown half an inch. Have a safe and happy Halloween everyone!